CFCW commends Senator Rob Bradley for filling SB10! Captains for Clean water is proud to announce the Filing of Florida Senate Bill 10 designed to reduce harmful Lake Okeechobee discharges and provide needed water to the Everglades and Florida Bay. SB10 would add a new section to the Florida Statutes authorizing a Reservoir project in the Everglades Agricultural Area; this project has the intent of creating 360,000 acre-feet of water storage capacity along with the acquisition of 60,000 acres of land from willing sellers. 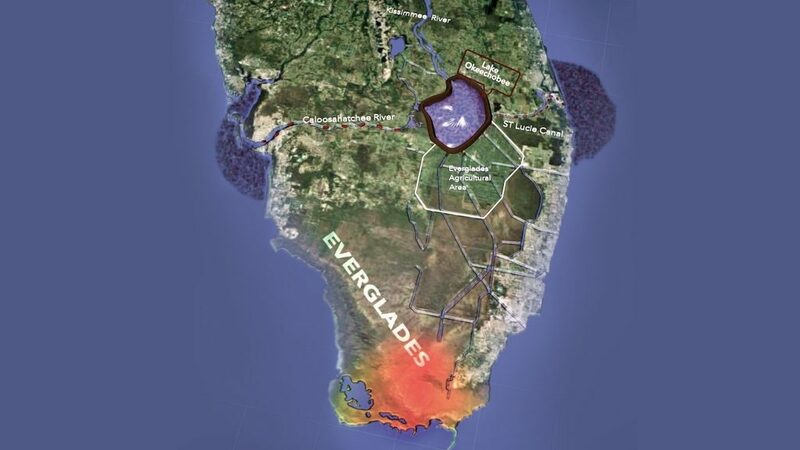 This proposed reservoir is expected to hold approximately 120 billion gallons of water and would be dynamic in nature meaning that as soon as the existing stormwater treatment areas are ready to accept additional water, more water would be moved into this reservoir that would also supply a much-needed source of water in times of drought to the often parched Everglades and Florida Bay. The estimated cost of a reservoir is expected to total roughly $2.4 billion. With the federal government paying at least half of the cost of such a reservoir, the state’s commitment would be $1.2 billion. The bill authorizes the annual use of approximately $100 million of documentary stamp tax revenue set aside by Amendment 1, approved by voters in 2014, over the next 20 years to finance the plan. The bill directs the South Florida Water Management District to begin the formal process of purchasing land from willing sellers and operates under the 2000 Comprehensive Everglades Restoration Plan, a partnership between the state and the federal government. According to the bill, If the SFWMD is unable to identify sellers of land appropriate for a reservoir through an open solicitation by the end of 2017, the legislation authorizes the Board of Trustees to exercise the option with U.S. Sugar entered into in 2010 to buy 153,000 acres of land in the Everglades Agricultural Area, for the purpose of securing the 60,000 acres necessary for the reservoir and to begin the planning the construction of the needed reservoir. The bill goes on to state that if the State is ultimately unable to purchase land for the reservoir by November 30, 2018, the legislation increases the ongoing Legacy Florida appropriation by an additional $50 million for the Comprehensive Everglades Restoration Plan, which includes a reservoir in the Everglades Agricultural Area as a key component.